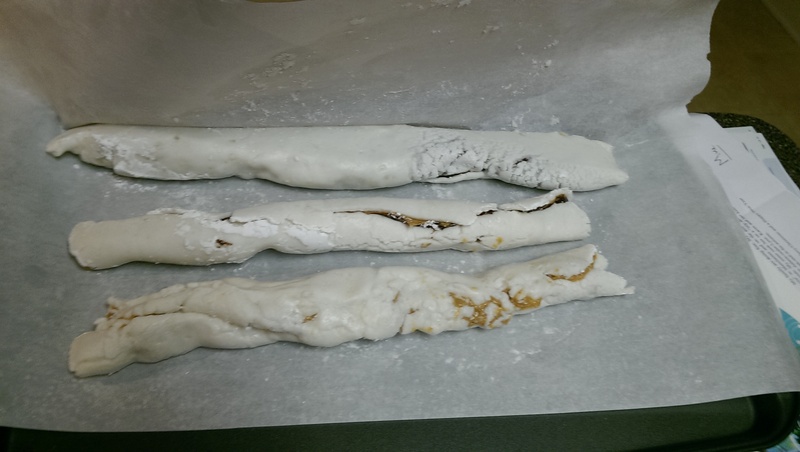 Every year about this time, my Grandma Armstrong made potato candy. Although the confection sounds like it should be Irish, she was as German as you could get. Her maiden name was Sholley, descended from one of two brothers Schallin who came over in the 1700s (Simon and Frederick) and her mother was a Kreighbaum. Still, I’m not sure if potato candy is German or not. I think the main thing is it’s cheap, which probably explains why many people can remember their grandmothers or great grandmothers making it. To make Grandma’s variation, you need a potato, powdered sugar (a lot of powdered sugar) and peanut butter. That’s it. That’s all you need to make a candy that is quick, messy, ridiculously easy, messy, extremely sweet, messy, and ideal to make with children. Did I mention it’s messy? Of course, kids love it. This year, I decided to try some variations, which I’ll share along with the traditional version. 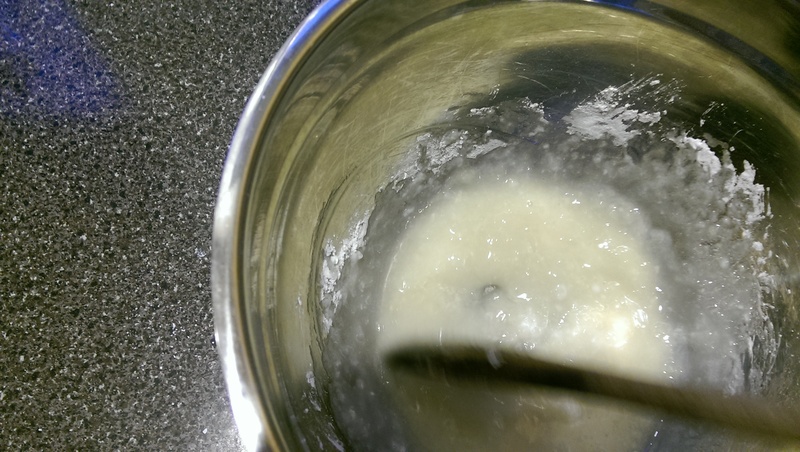 When you first add the sugar, the mix is lumpy. But then it liquefies (magic!). 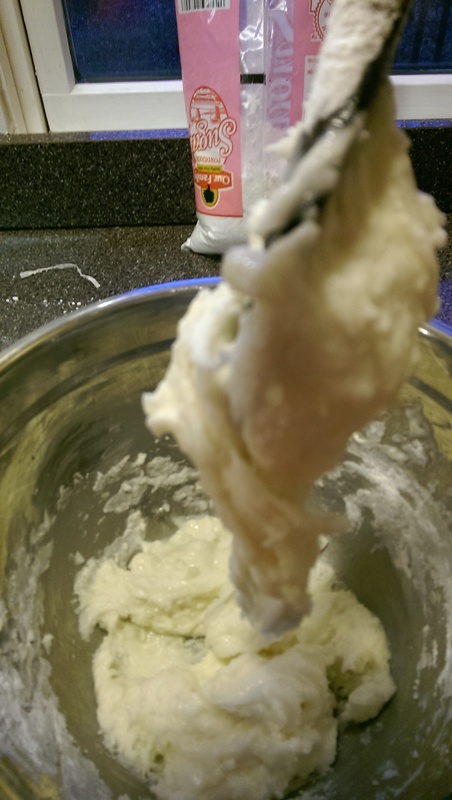 … and more powdered sugar, until the mixture is like a stiff dough. 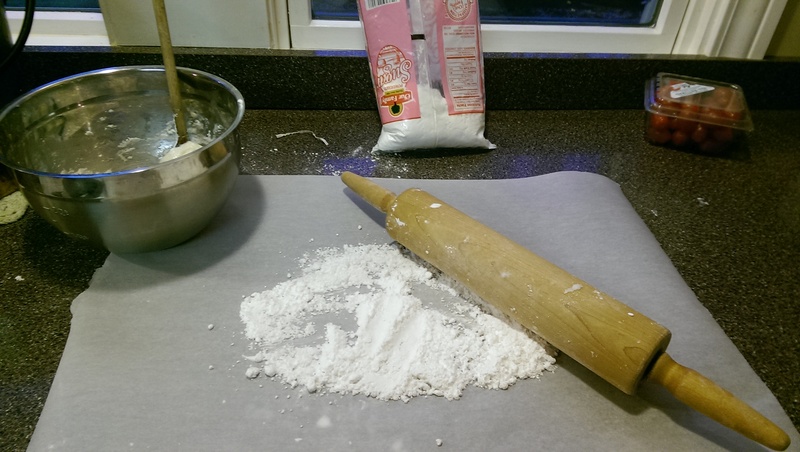 When you’re ready to roll out your candy, be sure to put lots of powdered sugar on the counter and rolling-pin. 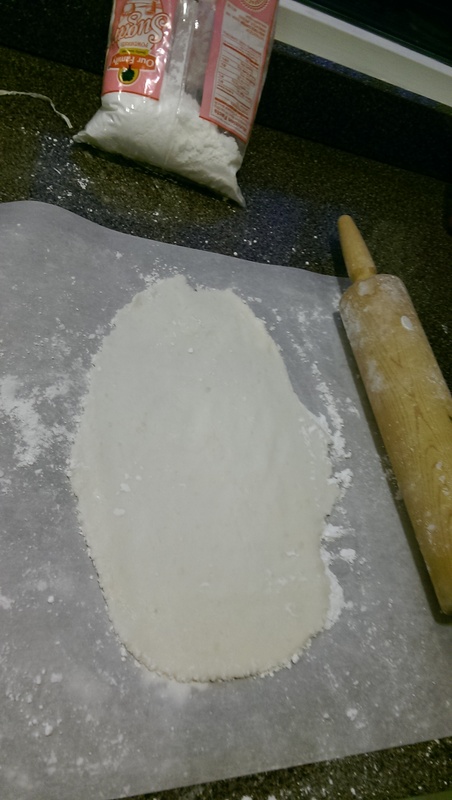 Knead dough, then roll into oblong/rectangle. 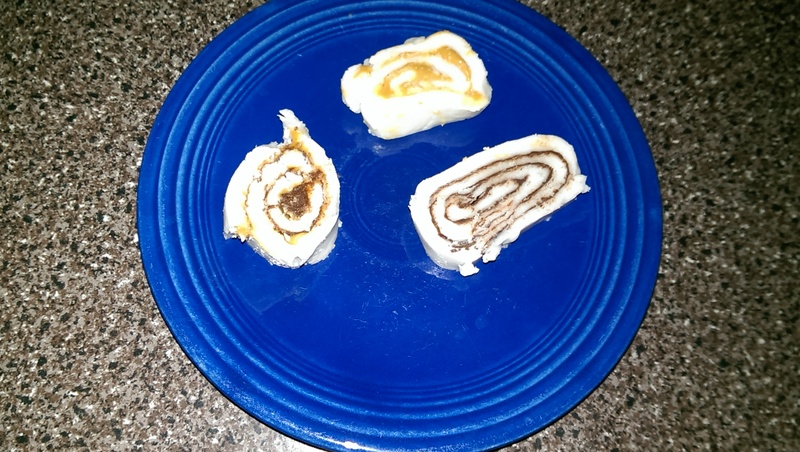 Spread with peanut butter, and then roll. 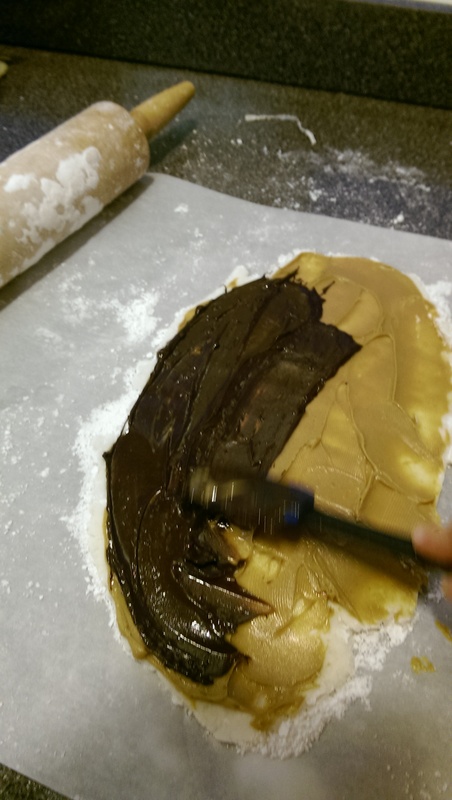 Or add melted chocolate over peanut butter and roll. Or, if you used peppermint extract, delete the peanut butter and spread with chocolate. 2. 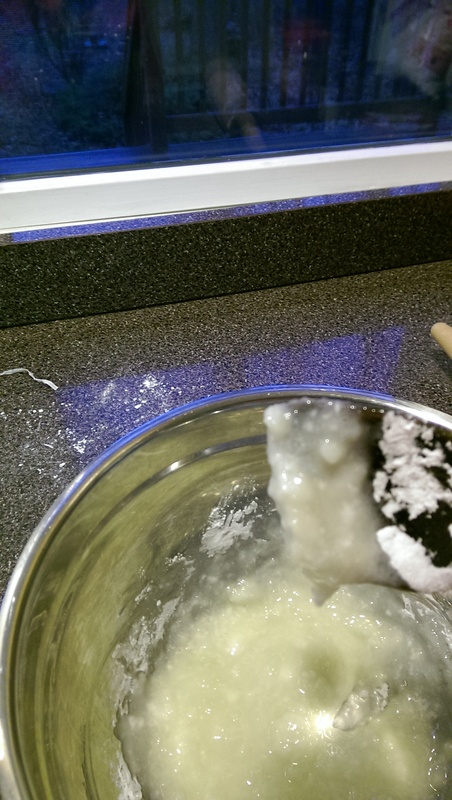 Add the extract if you’re using it, about a teaspoon should do. 4. 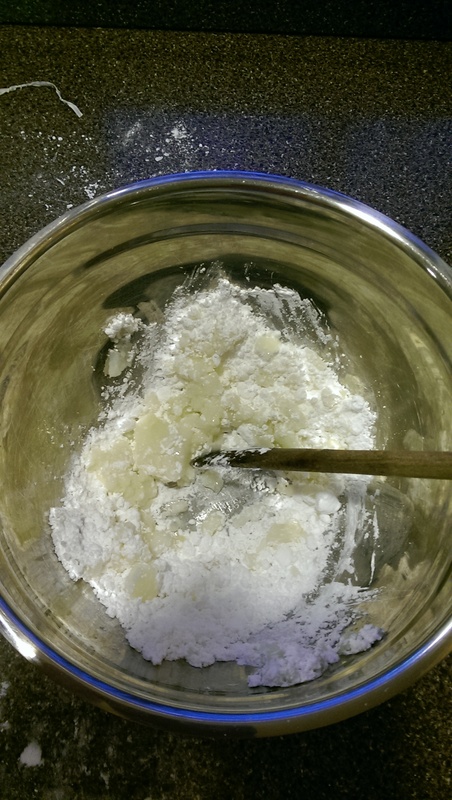 Keep adding powdered sugar until the mixture becomes so stiff you almost have to mix it with your hands. 5. 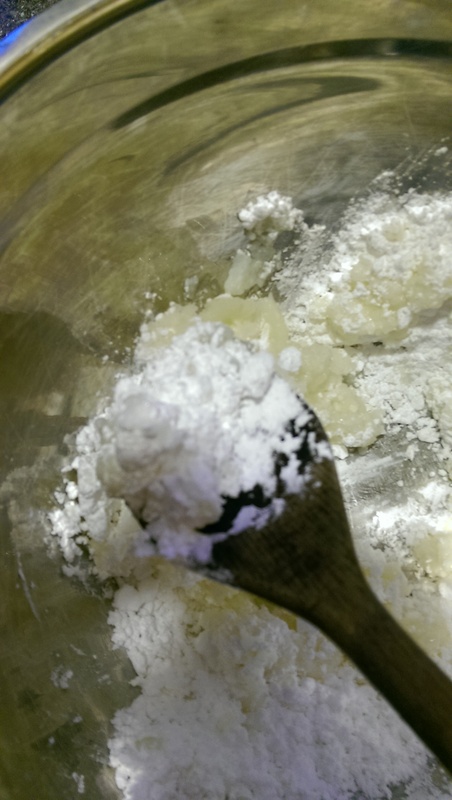 Sprinkle plenty of powdered sugar on a counter (cover with waxed paper or parchment paper for less mess), and coat the rolling-pin with powdered sugar too. 6. 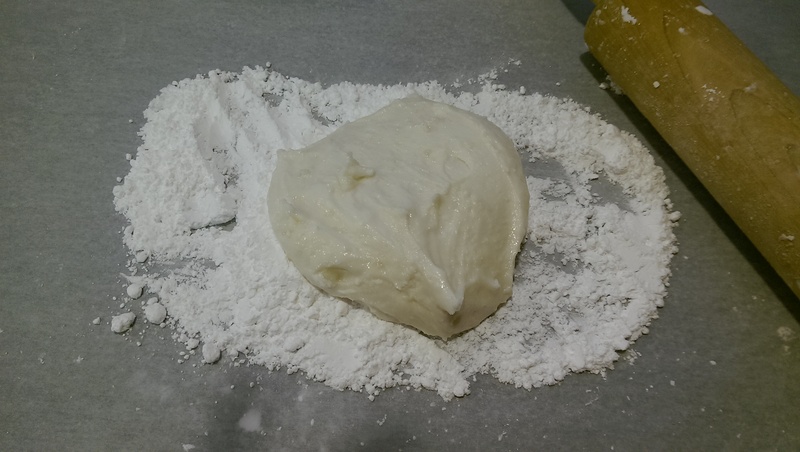 Turn candy onto counter, and fold and knead as if it’s bread dough and the powdered sugar is flour, adding more sugar as necessary. 7. 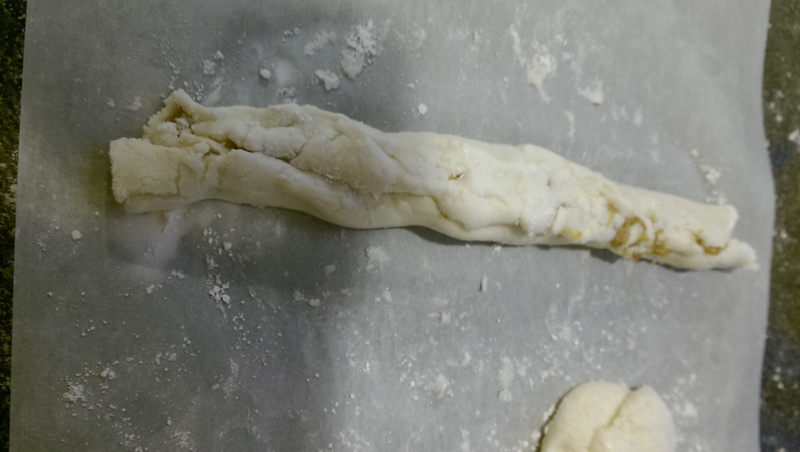 When the “dough” is no longer sticky, use the rolling-pin to roll into an oblong shape. 8. 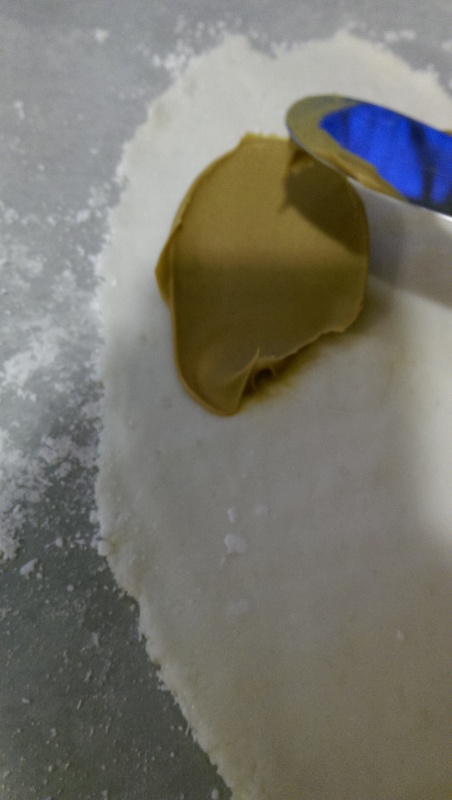 Spread peanut butter on “dough.” Skip this step if using peppermint extract. 9. If you like, spread melted chocolate over peanut butter. Do not skip this step if using peppermint extract. 10. Roll candy, starting with the long side like a jelly roll. 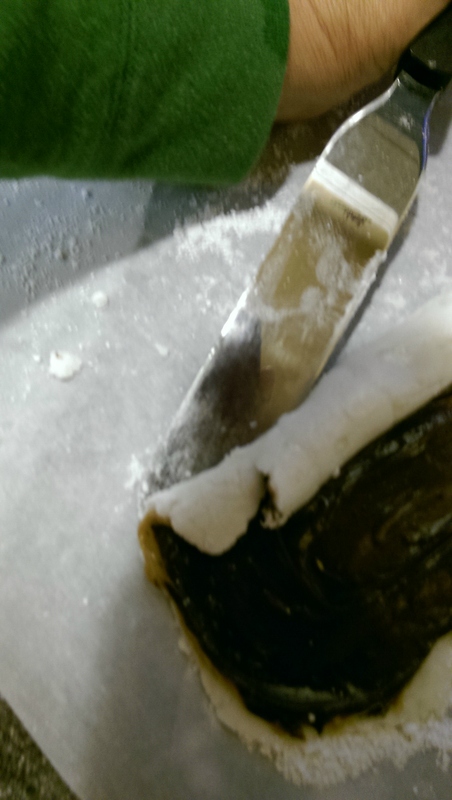 This is where the metal spatula can help — if it sticks, you can slide it under the roll to loosen. 11. 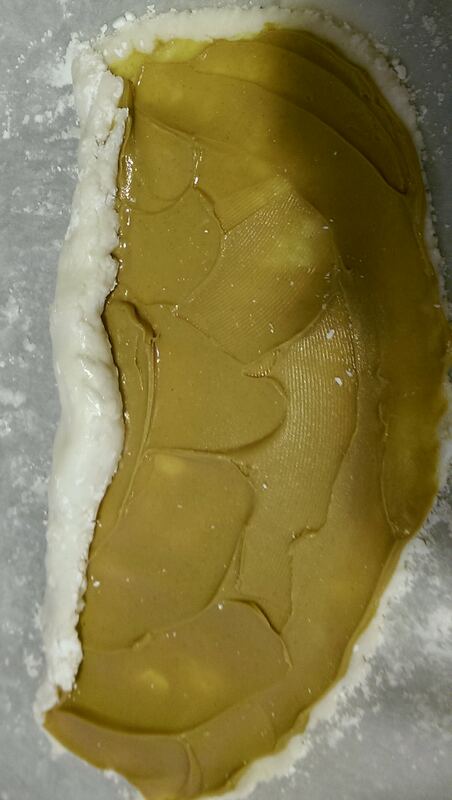 Refrigerate until firm, then cut into thin slices. 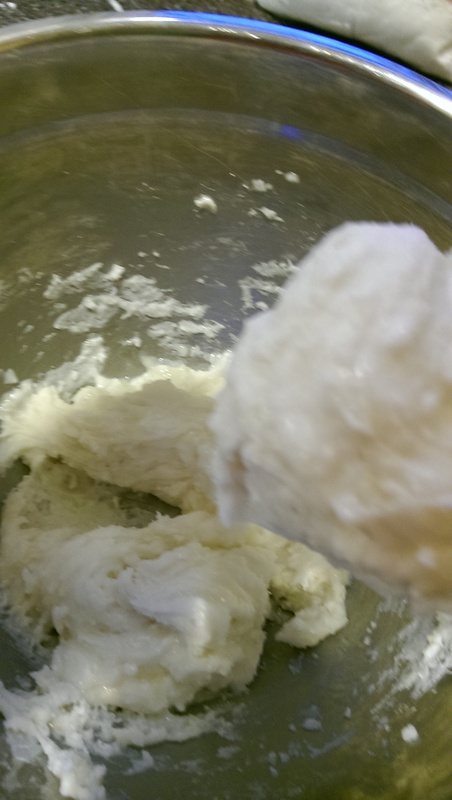 This entry was posted in Uncategorized and tagged Christmas note, Christmas Note #5, Frederick Schallin, Kreighbaum, Potato candy, Potato Candy Recipe, recipe, Schallin, Sholley, Simon Schallin. Bookmark the permalink. This is also a very fond memory for me since I love peanut butter. I make it every year too, maybe because it is easy, but maybe cause it is messy too. I never thought about adding chocolate though…yummy. Will keep this post for the directions and pics. Thanks sis! You’re welcome. Adding chocolate makes it even better! I haven’t heard of this before. My kids would love it!